The title of ‘Best Small Bar’ was handed to Varnish on King in Perth as part of the Australian Bartender Magazine awards 2014. We talk to owner Andy Freeman on the challenges of running a bar and how to be successful in overcoming them. Perth is famous for many things: it’s beautiful Kings Park & botanic gardens, being the 8th most liveable city in the world… and now for having the best small bar in Australia. Varnish on King sits tucked away on King Street in the basement of a 1920s heritage building. Offering around 100 wines, an extensive variety of Kentucky bourbons, American whiskeys and innovative food, the bar is a hidden gem. "I started pouring drinks at 18 years of age" Varnish’s owner, Andy Freeman, tells us. "It was a logical choice as I knew I wanted to travel. For a lot of people, the industry is a virus… and I was infected." Varnish on King isn’t the entrepreneur’s first venture, and more than likely won’t be his last. He currently owns Luxe Bar in Highgate, Asian-inspired Darlings Supper Club in Northbridge and the recently opened The Flour Factory, ironically on Queen Street. He’s unafraid of hard work – at the same time as launching Varnish, Andy was personally running Luxe Bar and bamBOO. "Offering amazing food and amazing drinks in one destination without people thinking that it was a restaurant was a challenge. "With chefs of an amazing pedigree, it was always a concern. We overcame this by being quite cheeky with our marketing material, taxidermy animals and pop music… all breaking down the “presumptions” associated with 5 star food and dining." Keeping customers coming through the doors has always been an issue for bars, and loss of custom often forces people out of business. Attracting people initially is one thing, but making them keep coming back for more is much trickier, and requires a high level of consistency. For Varnish’s owner, keeping up to date with market trends is a vital component for on-going success. "We keep the menu and drinks fresh," Andy says. "We are always on the lookout for new opportunities." 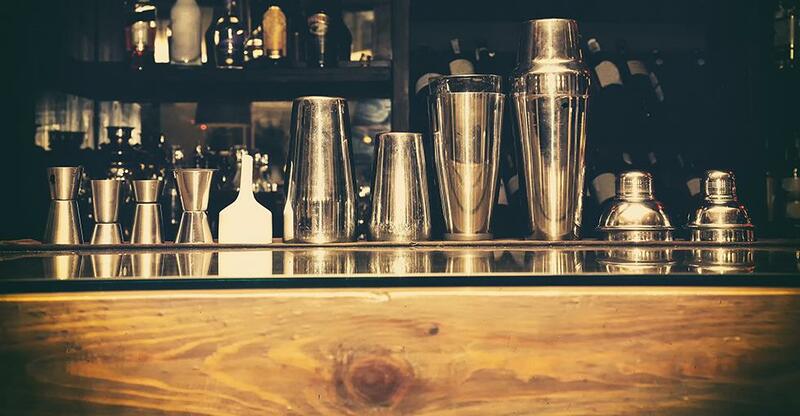 "Winning Small Bar of the Year at the 2014 Australian Bartender Awards." And finally, his advice to anyone thinking about running a bar? "It’s long, hard work. Be prepared for the unknown, and have an amazing bookkeeper/accountant to keep you in the middle of the road. Good Luck!"